NEW effective, humane and target-specific methods of rabbit control, including bio-control agents, are high priorities in a draft national plan to tackle the major environmental pest. The draft ‘Threat abatement plan for competition and land degradation’ was released today by the Department of Environment, outlining how rabbits affect more than 300 nationally-threatened species, double the number estimated in 2008. The draft plan aimed to minimise the impact of rabbit competition and land degradation on biodiversity in Australia and its territories by protecting affected threatened species and ecological communities, and preventing further species and ecological communities from becoming threatened. Invasive Animals CRC chief executive officer Andreas Glanznig welcomed the draft plans identification of rabbit biocontrol agents and other management techniques as a high priority which needed a long-term and ongoing commitment. “Rabbit biocontrol has reduced the risk of extinction for many threatened species. “We know that when rabbit numbers fall the benefits to the environment are high,” he said. – Continuing research to maximise the effectiveness of existing biocontrol tools and investigate new biocontrol agents. – Developing and registering new biocontrol agents and products. – Increasing understanding of the seasonal patterns of RCV-A1 and its interaction with RHDV. – Conducting pre and post monitoring to determine success of biocontrol releases across a range of landscapes. However, Mr Glanznig said biocontrol is not a silver bullet and everyone must be vigilant when it comes to managing rabbits. 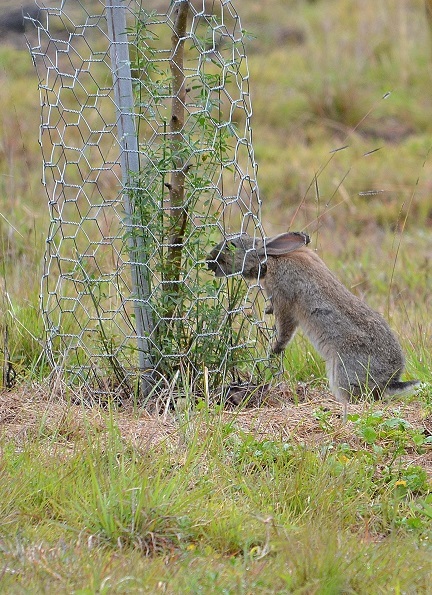 A background document to the draft plan said the Invasive Animals CRC’s rabbit research program is in the process of progressing three key bio-control initiatives: RHD Boost, RHD Accelerator and Bio-prospecting. The RHD Boost initiative aimed to find highly lethal strains of rabbit haemorrhagic disease virus that can counteract the decreasing effectiveness of existing RHDV strains and provide effective control in cooler, wetter areas. It is expected to provide a net benefit of $1.4 billion over 15 years ($840 million in agricultural benefits and $560 million in carbon sequestration benefits. The RHD Accelerator initiative sought to develop platform technology to rapidly accelerate the evolution of the virus and allow for the continuous selection of highly lethal strains. It is estimated to achieve a net value of $79 million over 15 years and $300 million over 30 years. However, the positive impacts of this initiative are not expected to be realised until approximately 2022/23. A bio-prospecting initiative aimed to identify and assess potential new biocontrol agents to reduce rabbit numbers by assessing currently known rabbit pathogens and identifying new biological control agents. This is expected to provide a net benefit of $28 million over 30 years. Threatened Species Commissioner Gregory Andrews said the rise in rabbit numbers was not only bad news for farmers, but also for threatened native species like quolls, bandicoots, bettongs and the mountain pygmy-possum. “It’s a sad fact there are more rabbits in Australia than there are of any native mammal species, including kangaroos. “Not only do rabbits compete with local animals for food and burrows but they also destroy habitat, eating native plants and eroding soils so that weeds take over. It only takes one rabbit per football field sized paddock to affect native species,” he said. Mr Andrews said we all have a role to play in saving Australian wildlife from extinction and protecting farmers’ incomes. “Rabbits don’t stop at property boundaries and efforts to tackle them shouldn’t either. We need all landholders on board – from farmers and community groups to local governments and conservation land managers – if we are to tackle this threat effectively. Increase engagement of, and awareness by, the community of the environmental impacts of rabbits and the need for integrated control.